NGC 663 is an open star cluster lying approximately 6800 light years away in the constellation of Cassiopeia. 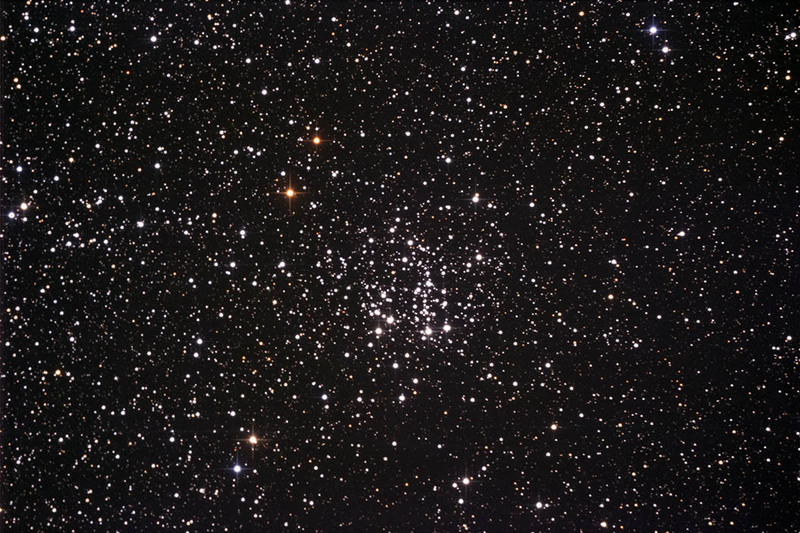 It is a relatively young cluster containing 400 stars. It spans 16 arcminutes in the sky, making it a good object for binocular viewing. Images were focused using the camera's live view and a Bahtinov mask. They were converted in Camera Rawl and were aligned and combined in ImagesPlus. The final image was adjusted in Photoshop.